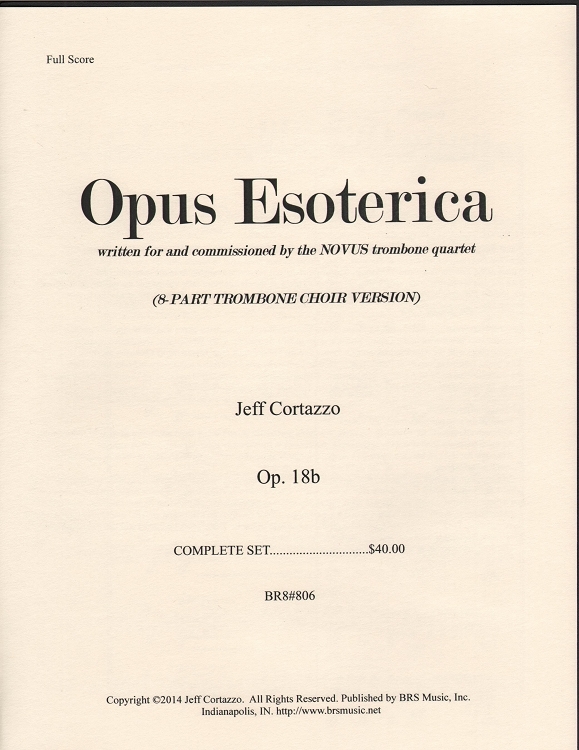 Born from Opus Esoterica for trombone quartet, the octet version has things a bit more spread out between the voices with certain chords re-voiced, adding volume and depth. Written to be a brief rhapsody on the various lip-slurs and tonguing exercises that trombonists know all too well, the piece begins very simply, as if the performers are ëwarming-upí. It then quickly develops into a powerful essay of arpeggios and complex rhythms and demands tremendous ensemble precision, coordination and power. Range: Trbn; 1-high Dflat to Trbn. 4 (bass); pedal F.